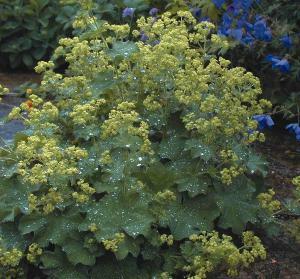 Alchemilla mollis is commonly known as Lady's Mantle. 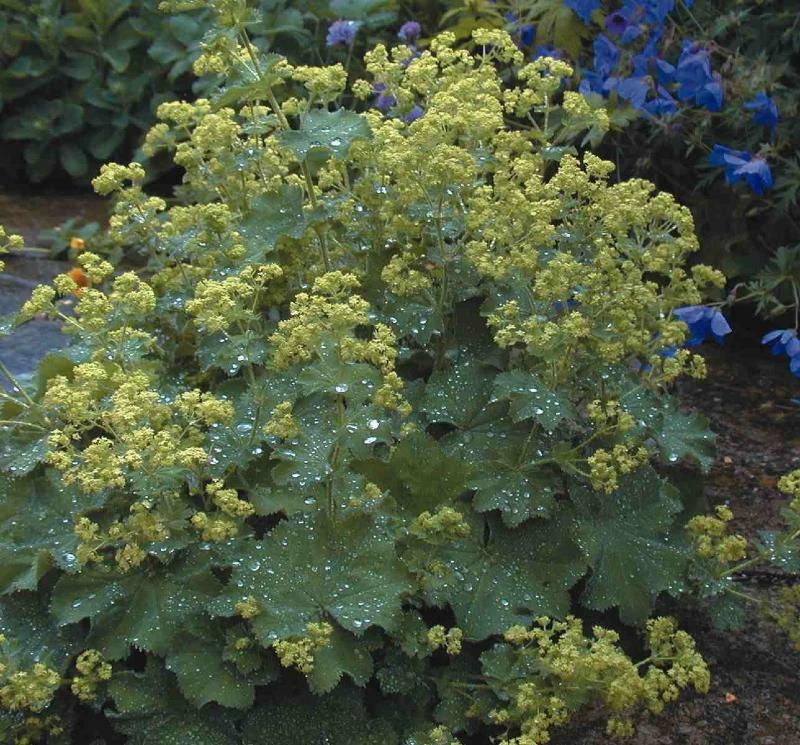 Herbaceous perennials which form clumps of lovely soft hairy, light green leaves. The edges of the leaves have a pretty scalloped and toothed edge. Flowers are bright yellow, small but borne in large sprays. Incredibly easy to grow, happy in most soils as long as well drained. Full sun or partial shade. Height 0.5m. Very Hardy.